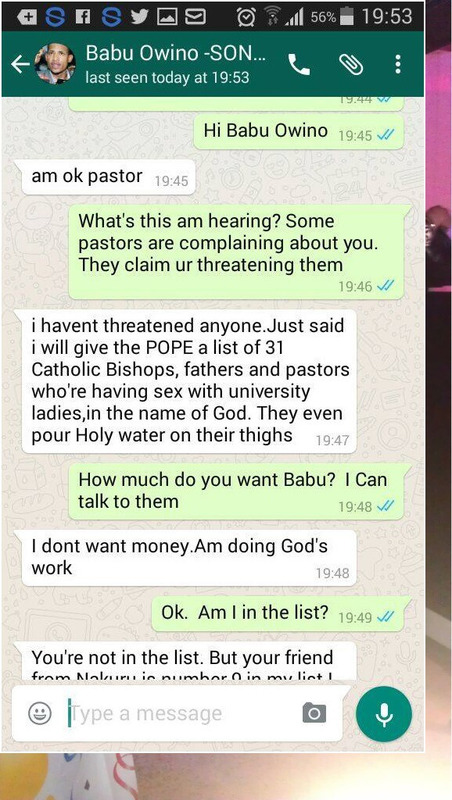 There is a new Whatsapp screenshot message doing rounds online that shows what is believed to be SONU chairman Babu Owino saying that he is planning to give the pope a list of 31 catholic priests and bishops allegedly sleeping with Nairobi university students. 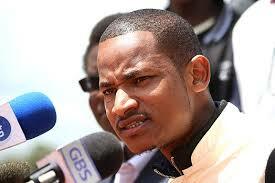 Babu Owino is claiming that some of the 31 priests and bishops who are in his list have been pouring holy water on the thighs of the university girls and all those naughty stuff will be reported to the Pope when he visits Kenya later this month. When asked if he wanted money to keep quiet, he said he is only working for God and didn't need any cash. Here is the whatsapp conversation.